Colored hair can become fragile, weak and vulnerable because of the chemical treatments it undergoes. For this reason you need hair color products that can restore your hair’s natural health, shine and beauty. Lorvenn’s Chromacare System is a line of hair care products specifically developed to heal and strengthen your hair and revitalize your scalp. Chromacare protects your hair color, providing intensity and a longer life, while strengthening your hair up to three times more than before. 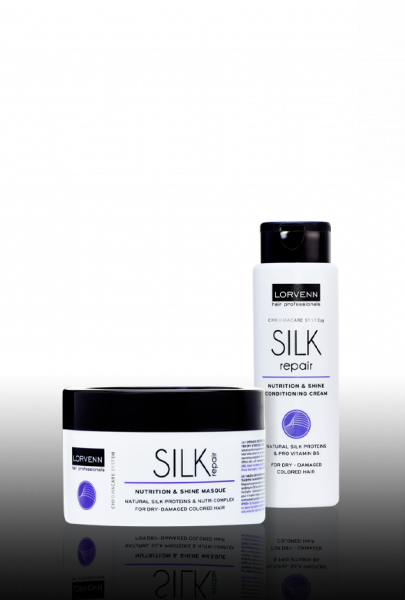 Use Lorvenn’s Silk Repair if you have dry or damaged colored hair. 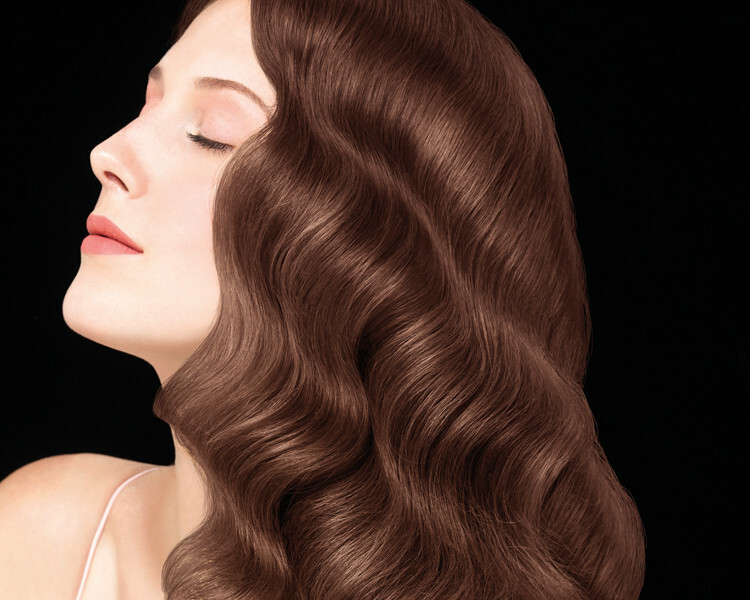 Silk Repair, with natural silk as its main ingredient, nourishes and moisturizes the hair and soothes the scalp. 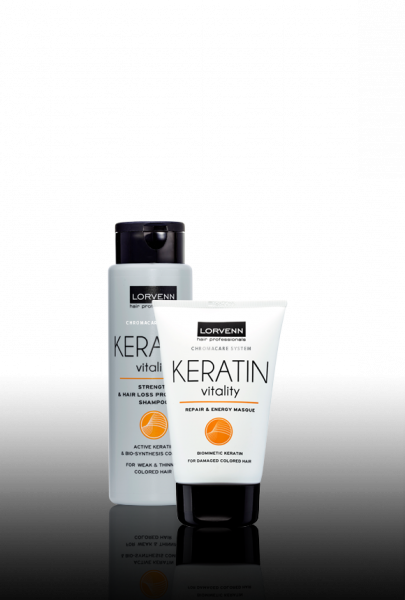 Use Lorvenn’s Keratin Vitality if you have thin or dull colored hair. Keratin Vitality, with natural keratin, reaches deep inside the hair shaft, increasing its elasticity, strength and vitality. Use Lorvenn’s Phyto Glam if you have brown or red colored hair. 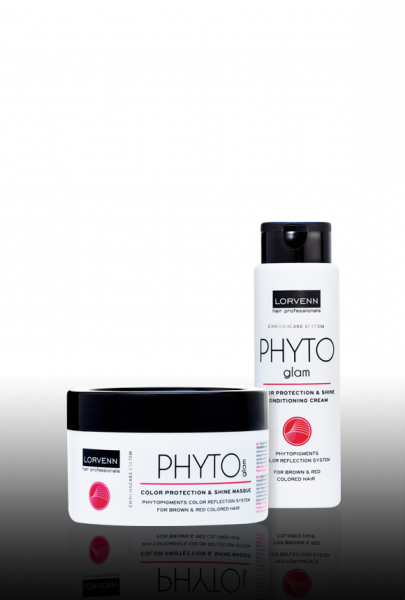 Phyto Glam’s plant pigments are rich in antioxidant properties that protect against the sun’s harmful ultraviolet (UV) rays, while prolonging the intensity and vividness of your hair color. 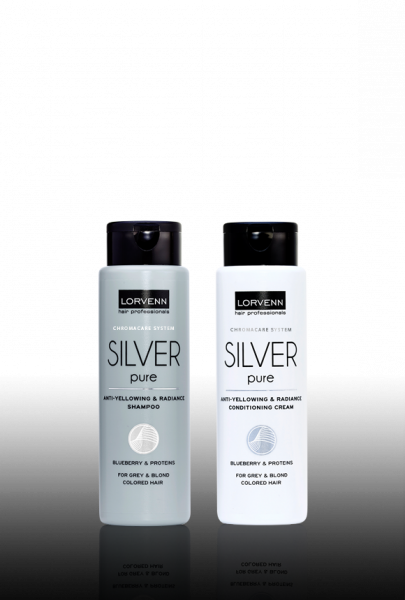 Use Lorvenn’s Silver Pure if you have grey hair, blond colored hair or hair with highlights. Silver Pure’s blueberry extracts bind the color to your hair, giving it a greater shine and making it last longer. Use Lorvenn’s Volume Tonic if you want to revitalize and strengthen your hair. Pea peptide, Volume Tonic’s main ingredient, is rich in amino acids, making it the perfect remedy for hair that ages prematurely. 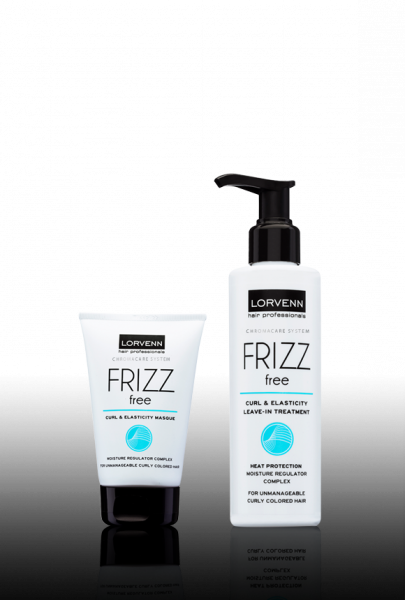 Use Lorvenn’s Frizz Free to control frizzy or curly colored hair. Sea algae, Frizz Free’s main ingredient, is rich in proteins and amino acids, adding elasticity and shine to your curls.